Breakfast is the most important meal of the day. This is especially true when backpacking. You need the right fuel to summit that mountain and carry you through the morning. The best backpacking breakfasts are tasty, lightweight, and easy to make. 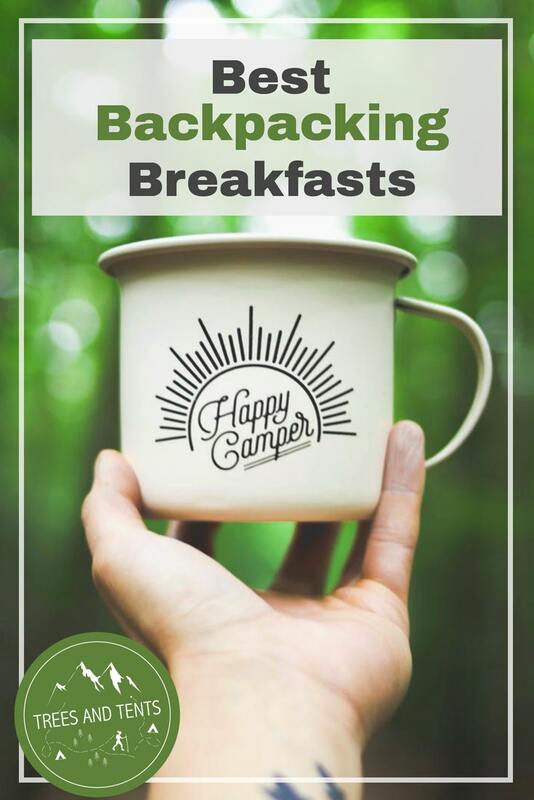 Searching for some tasty inspiration I reached out to five outdoor bloggers and asked them to share their best backpacking breakfasts. 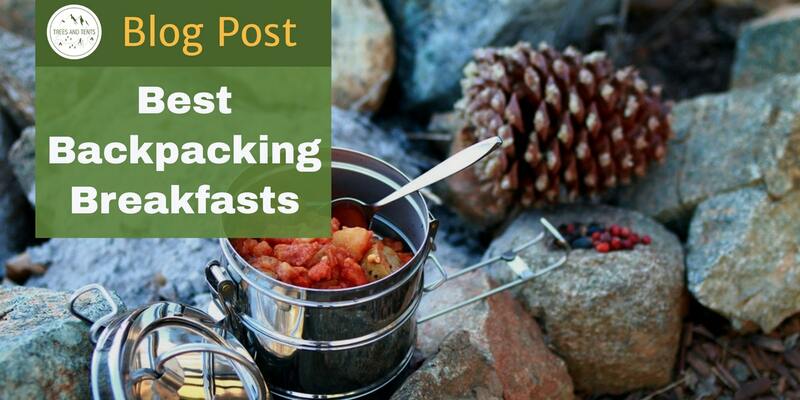 From protein-packed oatmeal to the quick-and-easy thru hiker’s breakfast, I hope you’ll get some breakfast inspiration for your next backpacking trip. I like to start my day off with a delicious and healthy breakfast. My main goal is to eat something that will give me energy till lunchtime and is filling. Usually when I am outdoors I know I will be doing hikes, a lot of running around with my kids, and it is essential as a mom or even for my kids to have a breakfast that will sustain us for the morning. Oatmeal for breakfast is my go-to breakfast when looking for something quick to make. I like to use some instant oatmeal and boil some water. Quaker’s instant oatmeals are my favorite. I usually like to mix one packet of original instant oatmeal with another packet of my favorite flavor/style oatmeal. Then I top it off with a pinch of chia seeds, honey, walnuts, two pinches of flax seeds, and some freeze-dried blueberries from Outdoor Pantry. Then I make me a cup of coffee or tea and I am good to go. If you want some extra protein, you can boil an egg or two and eat on the side with a little bit of salt and pepper. You can also add other nuts to your oatmeal if you don’t like walnuts. I have also used almonds and loved it. 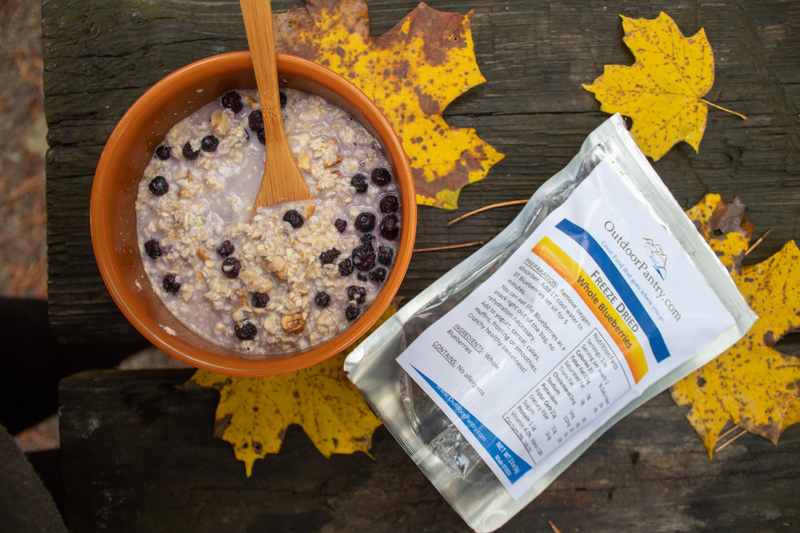 Hemp seeds is another good source of protein and nutrients that you can add to your oatmeal. If you suffer from seasonal allergies like I do I would recommend using local bee pollen and raw local honey to add to your oatmeal or tea as this will help boost your immunity to the local pollens and allergens in the area. Jessica Tejera is an outdoor family travel and conscious lifestyle blogger over at The Walking Mermaid. Her focus is to inspire other families to disconnect from their day to day lives and reconnect with each other through nature. She also creates travel guides to help other families find kid-friendly locations to explore. You can find her sharing her photography and family adventures on Instagram and Facebook along with her travel guides and tips on her blog and Pinterest. When people think of Ireland, they often imagine our pubs in places such as Dublin, the Cliffs of Moher or maybe our picturesque villages and quaint houses. I live in the North of the country and if we’re lucky, visitors might have heard of the Giant’s Causeway on the North Coast or maybe Belfast our biggest city. But tourists generally haven’t heard of the Mourne Mountains in County Down and they are missing out. The Mournes are a massive landmark here but there are small in the grand scheme of things. The highest hill is Slieve Donard at 850m (2790ft). Not massive, but if you’ve heard the song, “where the Mournes sweep down to the sea”, you’ll appreciate that you often start hiking here at 0m altitude. One of the most famous things about the Mourne Mountains, is the Mourne Wall. Construction on the Wall started more than 100 years ago and it was designed to enclose the catchment area of Silent Valley Reservoir which, to this day, serves Belfast with its fresh drinking water. The Wall spans 26 miles and includes 15 summits, 7 of the 10 highest in Ulster! Myself and Patricia, my fiancé, walked the whole Mourne Wall with full kit in two days in September. It was an emotional hike as we were raising money for Marie Curie Hospice who had supported and cared for Patricia’s father. 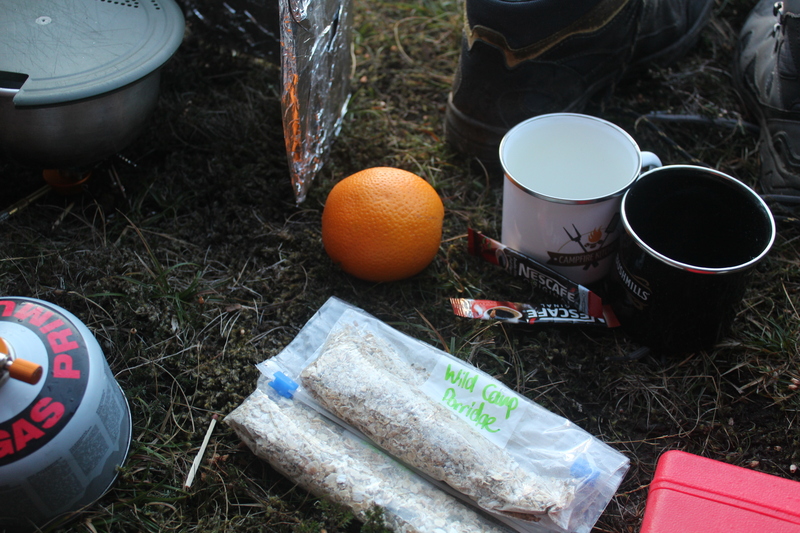 I put this Super Simple Porridge recipe together to fuel us on our second day of hiking on the Mourne Wall. It was ideal because it was lightweight but the porridge was also packed full of carbs and protein which set us up well. With our tent tucked into the saddle between two hills, we enjoyed this hot, sweet breakfast through a glorious sunrise. 1. Mix all of your ingredients together and put them into a ziplock bag. 2. At camp, bring a pot of water to a boil. Pour the boiling water over the dry mixture (in your bag or in a bowl) so that there is a two-to-one ratio of water to oats. 3. Mix well and let it sit for 8-10 minutes. Mark Thompson is a life long scout and a former Venture and Cub leader with a passion for campfire cooking. He shares his experiences camping in Ireland and his favorite outdoor recipes at Campfire Kitchen. You can find the full recipe for Super Seedy Wild Camping Porridge along with some yummy ideas for alternate mix-ins on the Campfire Kitchen website. I consider myself to be a little gourmet when it comes to my backpacking dinners (read: I dehydrate my own meals), but when it comes to breakfast it’s all about efficiency. Often times, I’m up before dawn to summit a peak and the last thing on my mind is cooking. It takes all of my focus just to crawl out of my sleeping bag and turn on the stove for a quick cup of instant coffee. Typically, I’ll grab some organic pop tarts (Annie’s acai berry are my personal fav) slurp down half a cup of instant coffee and hit the trail. What I love about this meal is it’s simple and packed full of much-needed carbs. Sugars and carbs give you a quicker energy boost than protein, which is far more difficult to digest and turn into energy. A heavy-carb diet is the perfect choice for backpackers, since you can easily burn upwards of 6,000 calories a day backpacking. Added bonus? It’s a total cheat food for anyone on a diet, so go forth and enjoy that sugary goodness! Meg Atteberry, aka Fox, is a 30-something true-born adventurer and enthusiastic storyteller. Exploration pulses through her veins. As an avid outdoors enthusiast and world traveler she's determined to discover the remove corners of the planet. You can follow her adventures at Fox in the Forest. What I’m about to describe is totally a Thru Hiker breakfast, and evolved on my Continental Divide Trail Thru Hike back in 2017. I’ll warn you that this is not gourmet, and some may even find it a bit awful. It is definitely not super healthy, but does provide calories and convenience. Start the day with cookies, yes cookies! I usually eat 6 or so Nutter Butter cookies while I break down camp. Very easy to eat, provides a sweet treat to start the day. Then I hit trail, and eat a Gatorade Protein Bar. I’m a sucker for the Mint Chocolate Chip ones, and they provide 20g of protein! To wash it all down I make a cold concoction of Swiss Miss Hot Cocoa mix and a Starbucks Via Packet. Trail Mocha? Quick Tip: Mix the Starbucks Via packet, Swiss Miss, and water the night before. Chris Denu is someone who loves to dream big! Someone who loves pushing down walls and strives to reach new limits. Epic adventures are his main focus, and the beauty of the natural world is what drives him. 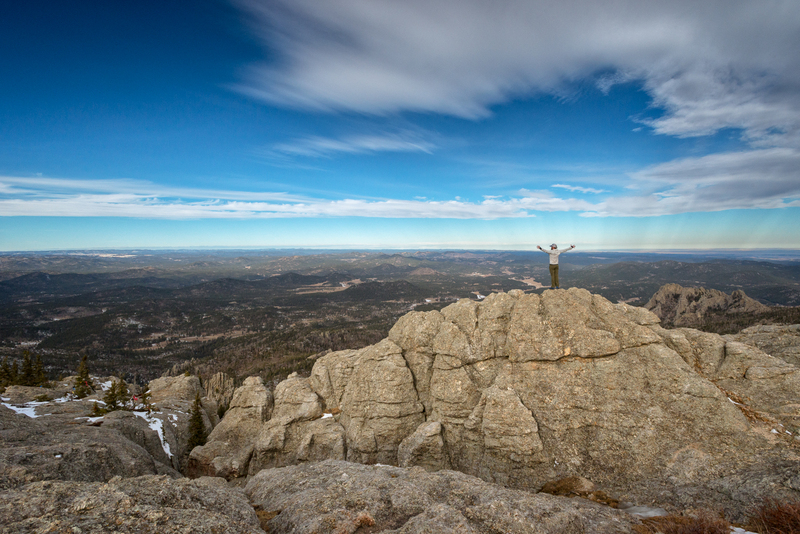 On his blog The Bold Nomad, Chris inspires others to take the first steps (whether big or small) outside their comfort zones and live a life of bold adventure. You can follow Chris's adventures on his Instagram. On hiking days when I know I am going to have a long day and a lot of miles, I like to have first and second breakfast. First breakfast is something quick I can eat without fuss to get me up on the trail quick at first light. Second breakfast might be a more leisurely affair some time mid-morning. I will keep energy or protein balls in my pack for that initial burst of energy and this recipe is one of my favorites. It has a balance of carbohydrates, protein and fat plus the fun flavors of a classic ice cream combination. What more could you ask for? Oh, yeah. They are super easy to make! Add all the ingredients to a food processor and blend. Roll into 1" balls. Makes about 24. Shannon Cunningham, aka Snuffy, spends almost every weekend and all of the summer outdoors hiking, backpacking, and camping. 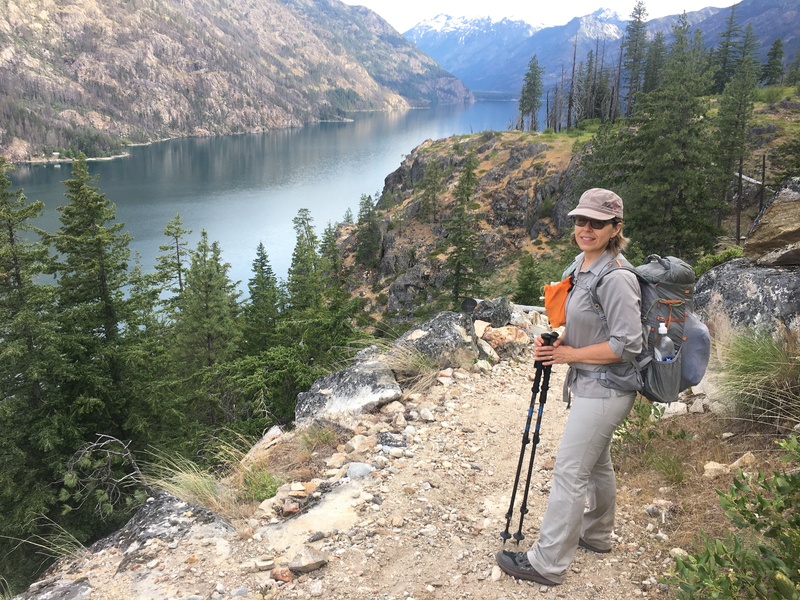 On Must Hike Must Eat she shares ways to add more nutrition to your outdoor meals, writes trip reports to help you discover a new mountain, and helps her readers find joy in navigating the ups and downs of this journey we call life. You can find more of Shannon's favorite backcountry recipes on Must Hike Must Eat. When I hiked the John Muir Trail in 2017 I spent weeks dehydrating my own meals for lunch and dinner on the trail. But, when it came to breakfast I was stumped. Mountain House's dehydrated eggs always made a soupy egg mixture that was difficult to stomach, and the healthy overnight oats mixture that I had created at home turned out to be a bland, chewy breakfast that I hated. Unfortunately, I didn't realize how much I hated these breakfasts until I was on the trail. Every morning was a little sad as I forced myself to eat food I hated. When I found the Citrus Chia Morning breakfast from Bushka's Kitchen I had to try it. The chia pudding is a special treat on the trail. The meal is made of good-for-you ingredients (and no preservatives!) and it is packed with big chunks of coconut, kiwi, and pineapple without being overly sweet. 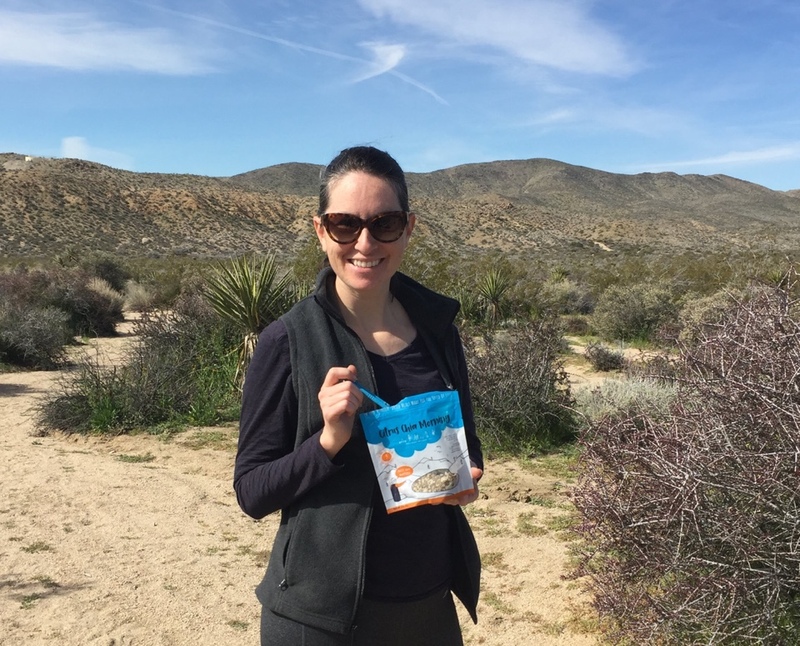 When I ate this on my recent trip to Joshua Tree National Park, the Citrus Chia Morning breakfast filled me up without weighing me down, so I had plenty of energy for our early morning hike to Mastodon Peak. It also powered me through most of the day as we toured the rest of the park, hitting up smaller hikes to Arch Rock and the Cholla Cactus Garden. I also feel good because I'm supporting a woman-owned business that's local to the San Francisco Bay Area. Welcome! I'm so glad that you found my site! 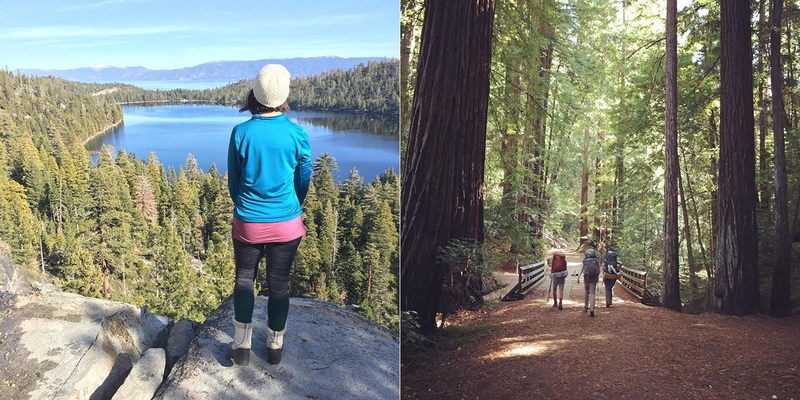 I'm a city-living' adventure-driven hiker, backpacker, and camper. I've been known to get a bit too excited when talking about backpacking gear, I prefer campfire banana boats over s'mores, and I'd live in my tent every weekend if I didn't fear that my partner would totally disown me. 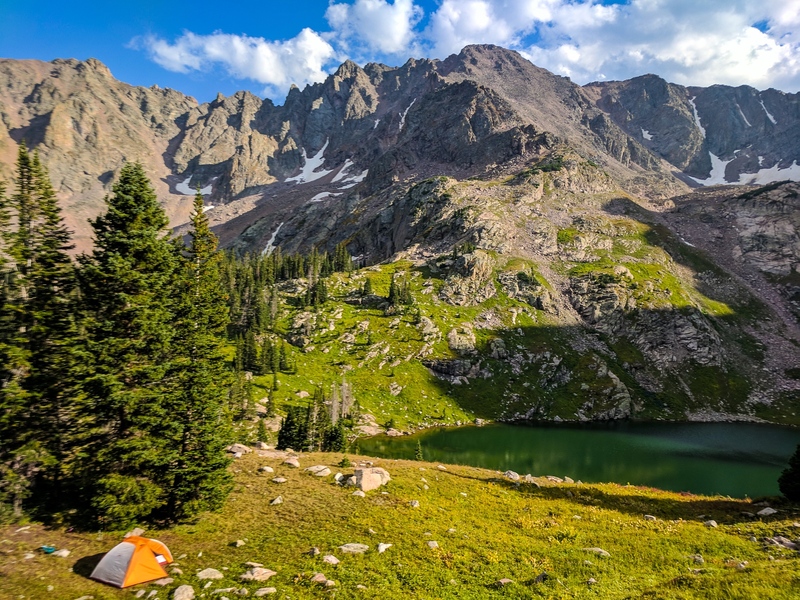 Check out my trail guides to find your next adventure, read the blog to learn how to save a bundle of money on high-quality backpacking gear, or celebrate your big hikes with some of my trail stickers.